Our relationships are built on trust and integrity. We are more than just professionals, we are trusted business partners. If you are ready to get started on a project or have some questions, please call or e-mail us. 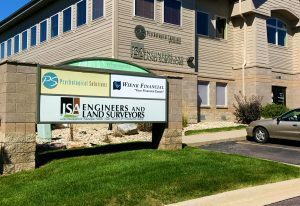 Founded in 1984 by Orlin Jibben and Richard Schwanke, JSA Consulting Engineers/Land Surveyors, Inc. is a full service consulting Civil Engineering and Land Surveying company with a long history of providing professional services to municipal and private sector entities.